When I called Ken to ask whether his lemon tree wanted to star in Mark's film, I was instantly intrigued by the tree's living accomodations. One of Ken's garage doors was rotting out and would soon need to be replaced, so he came up with an outside-the-box solution. He turned the zone into a sunroom instead. 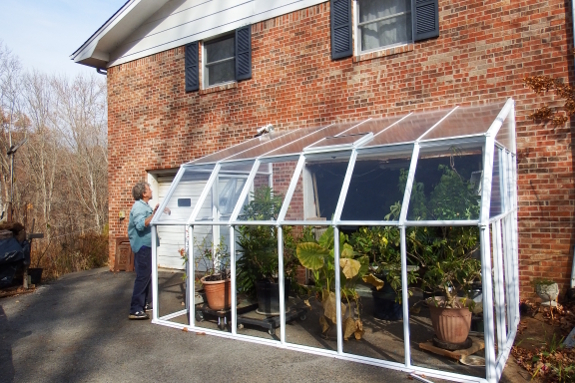 At first glance, I was impressed by the kit sunroom Ken had purchased and put together. I'm not so sure he would have been able to build something as tight for the same cost from scratch. 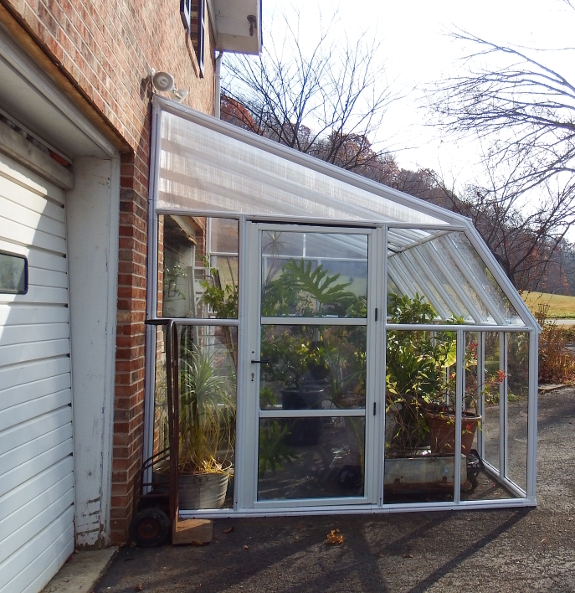 From a gardener's standpoint, the sunroom is also a perfect use of that thermal mass (aka driveway), with the bonus that plants can be rolled inside if temperatures drop too low. 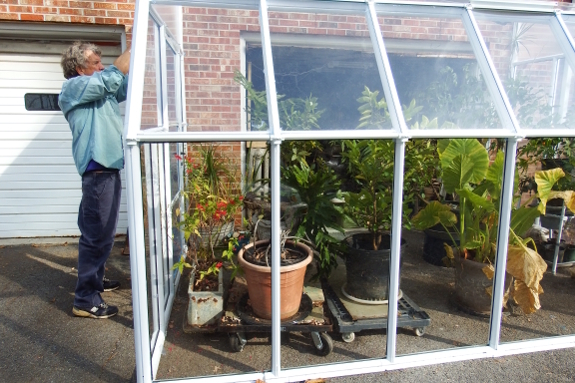 This is the sunroom's first winter, so Ken is watching it carefully to see how it fares in the cold. So far, he reports that nighttime lows have been about twenty degrees above exterior temperatures with the garage door open onto a mostly unheated basement. I'm SO jealous! I've been wanting something like that for my place, but because of a variety of factors, it's not feasible for me.